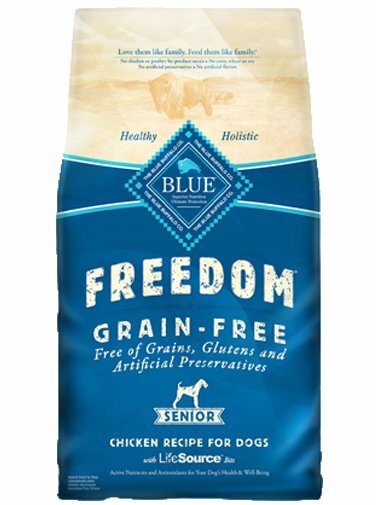 Because the nutritional requirements for senior dogs are different from other life stages, BLUE Freedom for Senior Dogs features ingredients to support their overall health and well-being. Vitamin D3 Supplement, Vitamin D promotes healthy skin, bone, connective tissue and heart. It is necessary for the proper absorption and utilization of calcium and phosphorus, Vitamin B12 Supplement, Pyridoxine Hydrochloride (Vitamin B6), Dried Yeast, Dried Enterococcus faecium fermentation product, Dried Lactobacillus acidophilus fermentation product, Dried Aspergillus niger fermentation extract, Dried Trichoderma longibrachiatum fermentation extract, Dried Bacillus subtilis fermentation extract, Folic Acid (Vitamin B9), Calcium Iodate.